The first long weekend of summer is finally upon us. And with it, the unofficial start of grilling season. We’re firing up the grills, dusting off lawn chairs and slipping on our sandals to properly welcome the warmth that has long been out of our grasp. Burgers, brats and hot dogs are some undeniably tasty classics, but they tend to overshadow other foods that benefit from the smoky tendrils of an open flame. So here are a few out-of-the-bun ideas to get the creative juices flowing. Sautéed, fried, baked – this versatile veggie is delicious no matter how you cook it. But part of the reason it’s such a great grilling partner is because of its porous texture and mild taste. Zucchini’s sponge-like center soaks up other flavors without introducing dissonant flavors of its own. 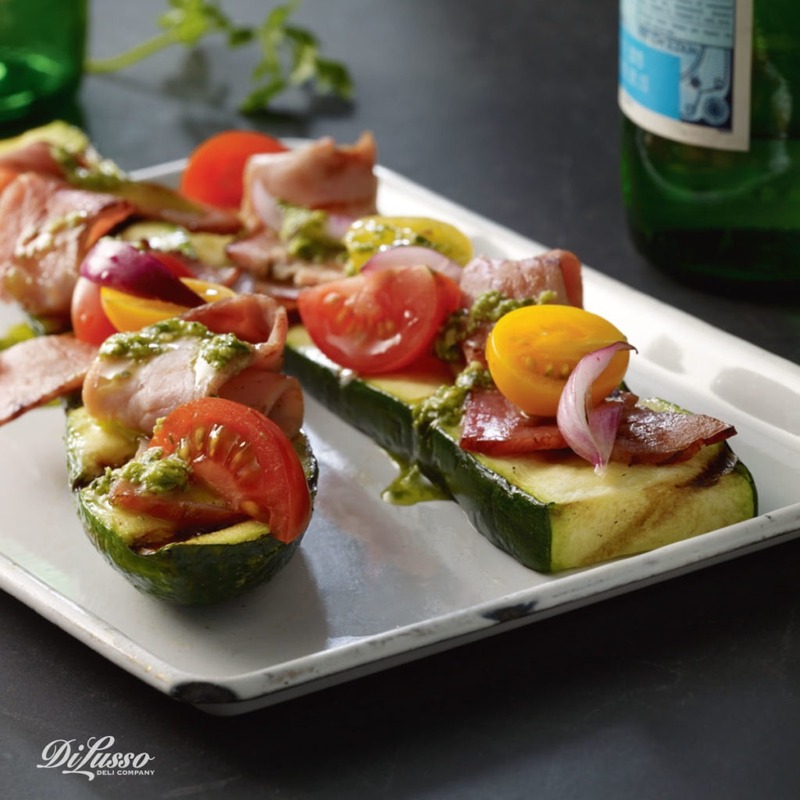 Take our Grilled Zucchini Wedges, for example. Garlicky cilantro pesto saturates the zucchini’s firm white core, making it tender and springy as it simultaneously absorbs the smoky essence of smoldering charcoal. Our Smoked Cracked Pepper Ham further dimensionalizes the dish with a piquant yet sweet undertow. Because grills can get significantly hotter than ovens, they’re great tools for cooking pizza. Exposing your pie to hotter temps, especially during the first 10 minutes, enables air and vapor bubbles to expand inside the dough. This prompts the crust to crisp up on the outside, while staying soft and fluffy on the inside. 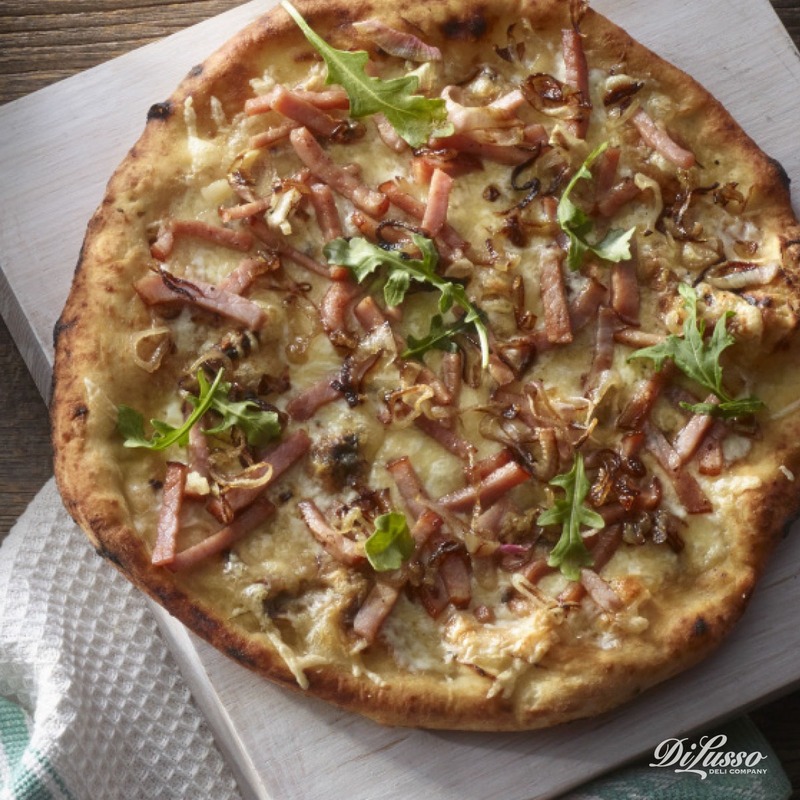 We love making our Alsatian Tarte Flambée on the grill. Ribbons of our Smoked Ham brown at the edges while luxuriating in an oasis of peppery Alfredo, melty Baby Swiss and caramelized shallots. As you build this pie on the grill, here are a few tips to keep in mind. 1. Don’t go overboard on the sauce or you’ll end up with a soggy pizza. 2. It’s tempting to peek, but resist the urge. Keeping the lid closed helps the grill stay at a consistently hotter temperature. 3. Have all of the toppings prepared ahead of time so you can toss them on as soon as the crust is ready. Think outside the salad toppings, or more accurately beneath. 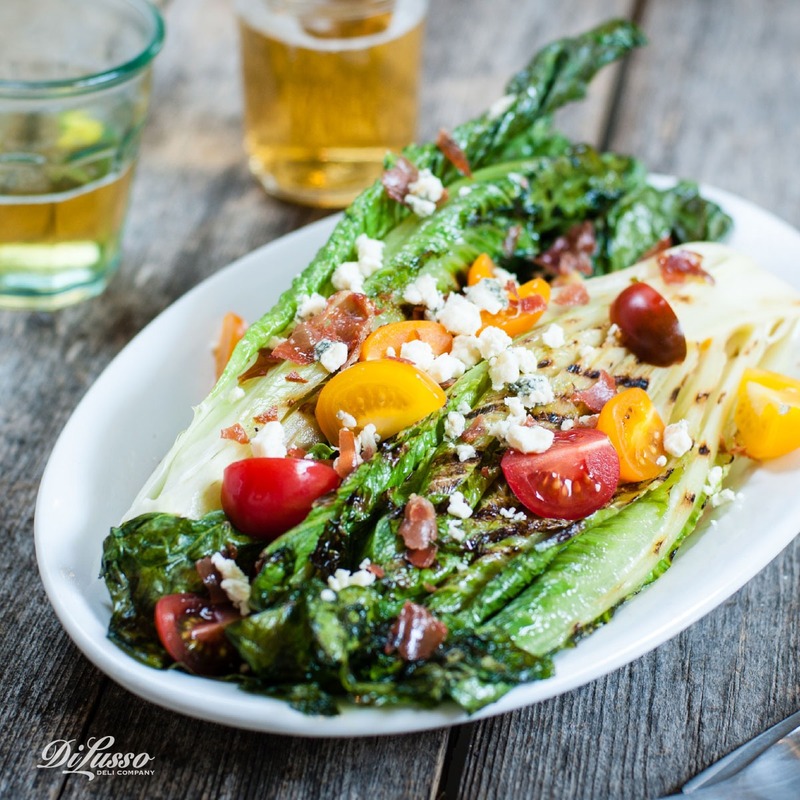 Just a few minutes on the grill turns soft, floppy lettuce into a crispy delight with charred (but not too charred) tips and caramelized crevices. 1. Vinaigrette: Combine 3/4 cup olive oil, ¼ cup white wine vinegar, 1 tablespoon Dijon Mustard, 1 minced garlic clove and 1 teaspoon sugar in a jar, and shake until well combined. Add salt and pepper to taste. 2. 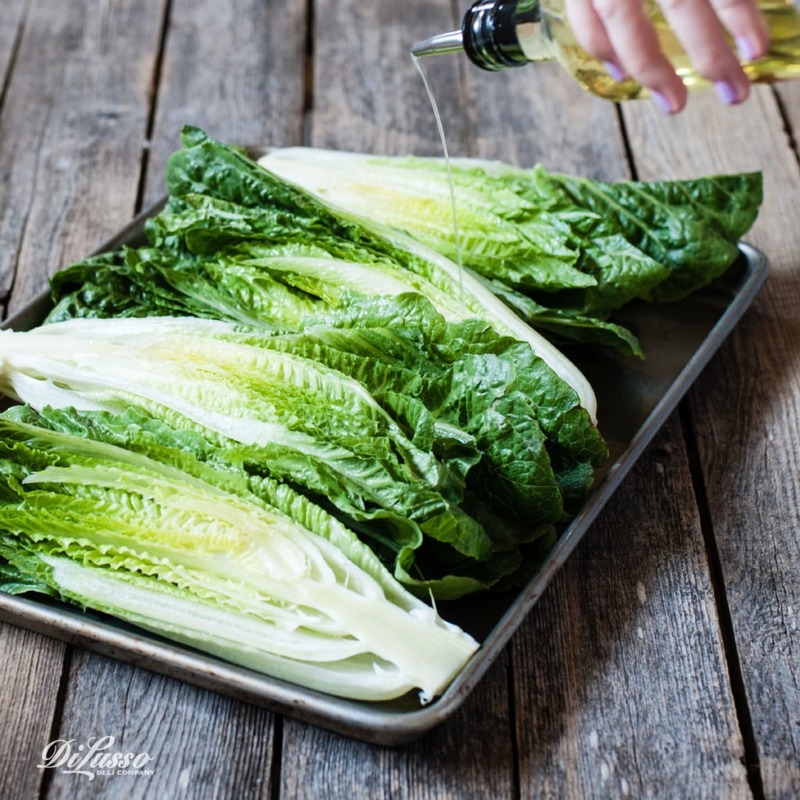 Cut heads of romaine lettuce in half, lightly coat all sides with olive oil and grill cut-side down for a total of 4 minutes, turning occasionally. 3. Place slices of Prosciutto on the grill for a few minutes until crispy, flipping once. 4. Cut prosciutto into pieces and sprinkle over the lettuce. Drizzle with vinaigrette, and top with crumbled blue cheese and sliced tomatoes. Now go on, get out there. Your grill, the sun and all things summer await you.